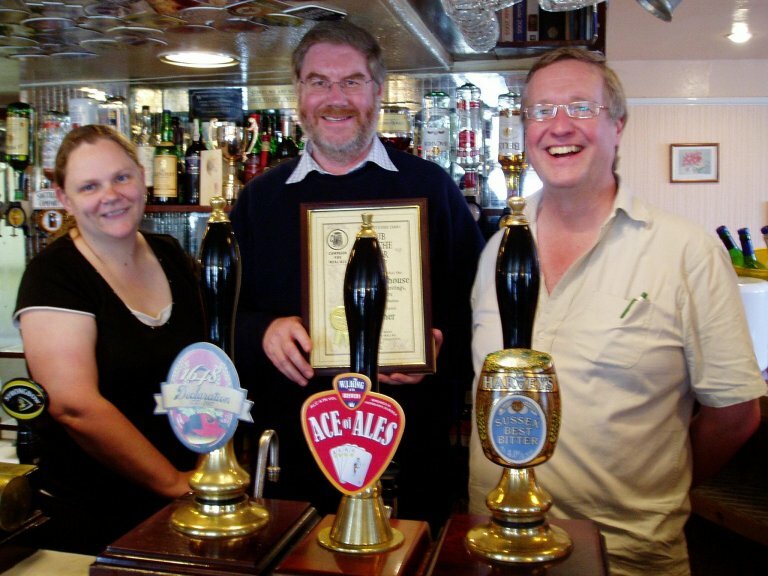 Members of the South East Sussex Branch met at The Old Courthouse in Westfield to make their ‘Pub of the Year’ award to Andy and Lynne McFarlane. The pub offers Harvey’s Best and two other beers which change regularly. A beer festival featuring 15 different ales is held at the August bank holiday weekend. Andy and Lynne bought the pub just under three years ago and in that time have established it as a favourite venue for real ale drinkers of the area. Picture shows branch chairman, Peter Page-Mitchell, (centre), making the award to Andy and Lynne.